Habitat: Wetlands - swamps, rivers, artificial waterways. 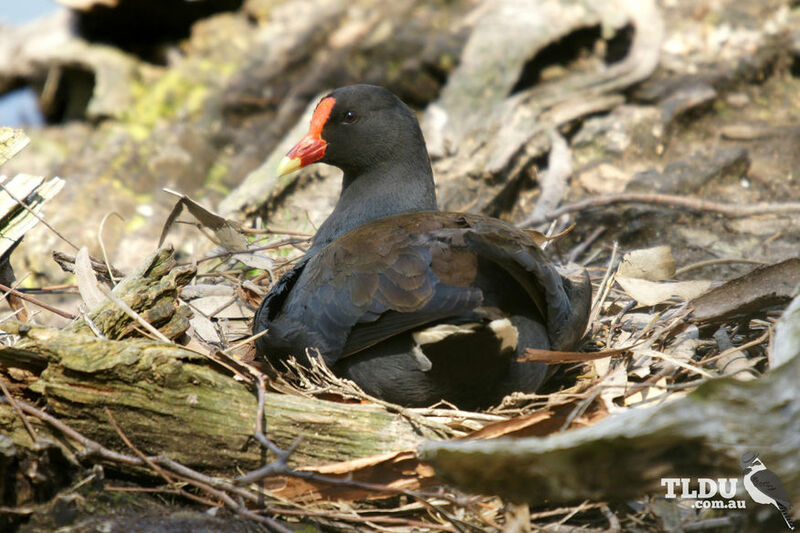 Two other water hen species are similar to the Dusky Moorhen but can be easily distinguished. The similarly-sized Eurasian Coot, has a white bill and face shield and a red eye. The Purple Swamphen is much larger and has a distinct purple-blue colouring.